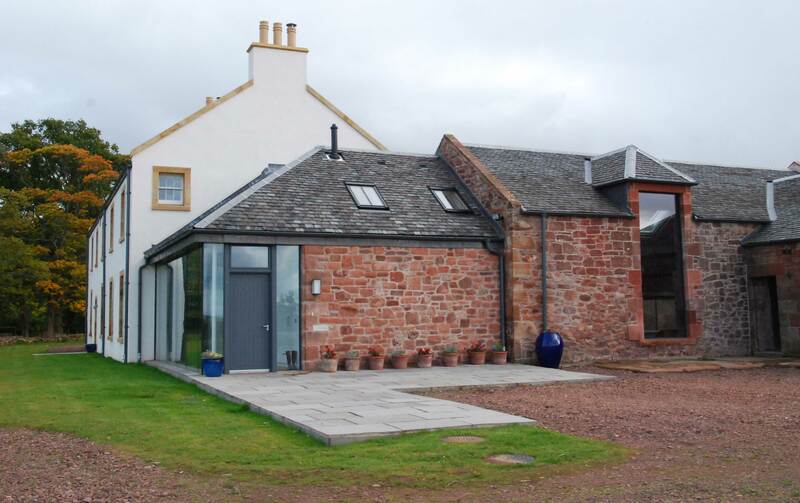 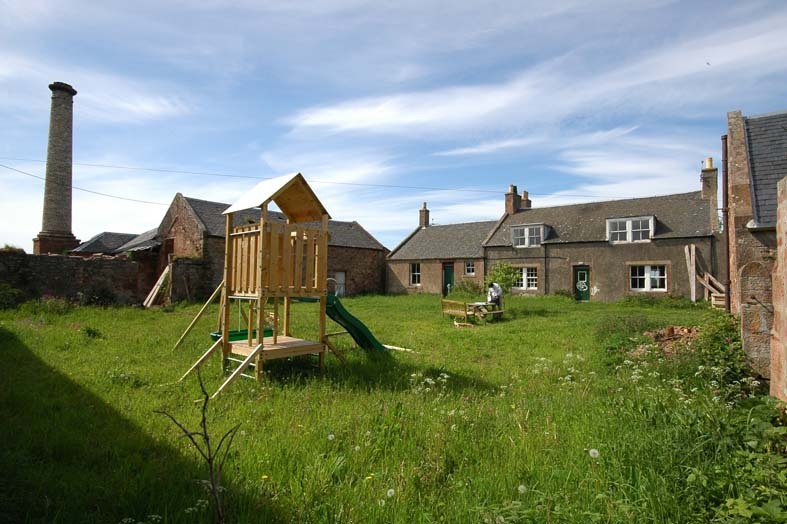 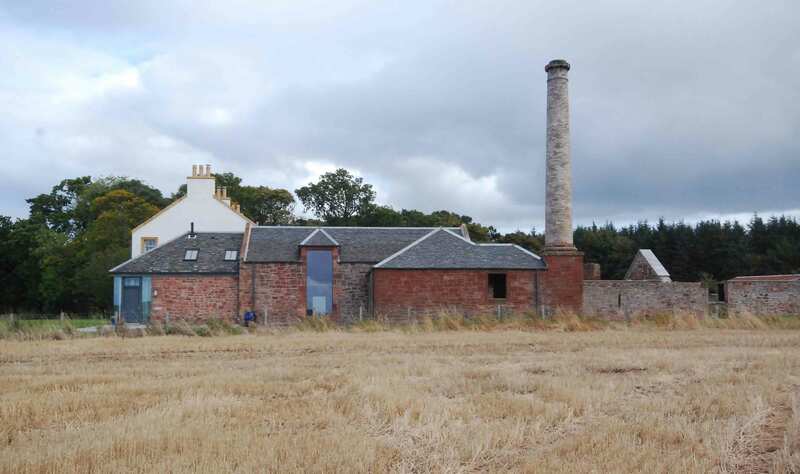 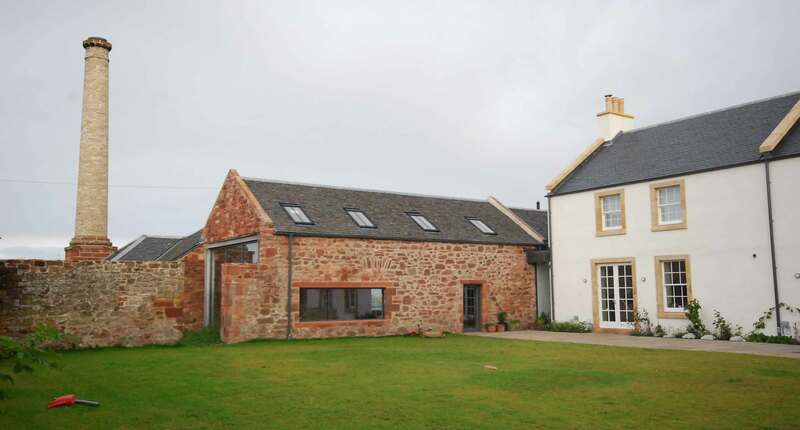 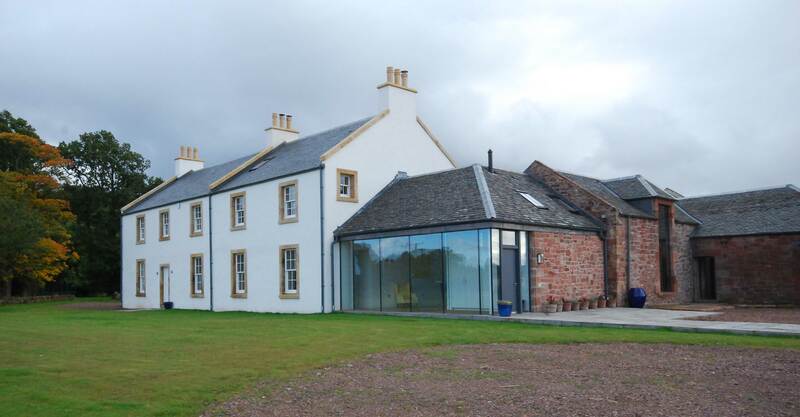 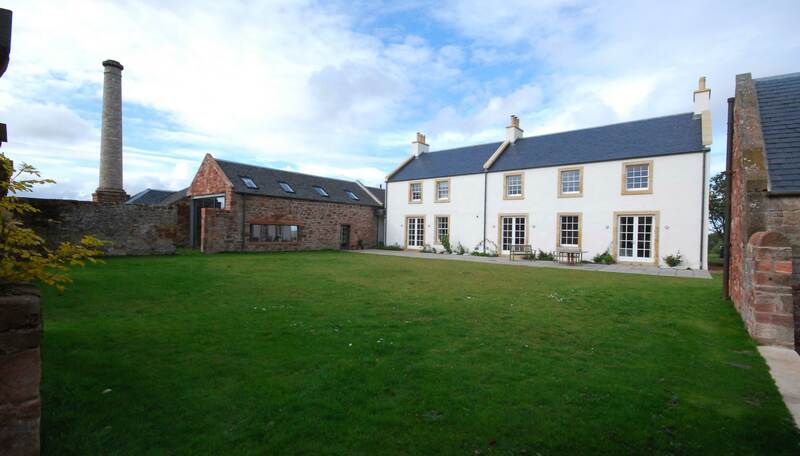 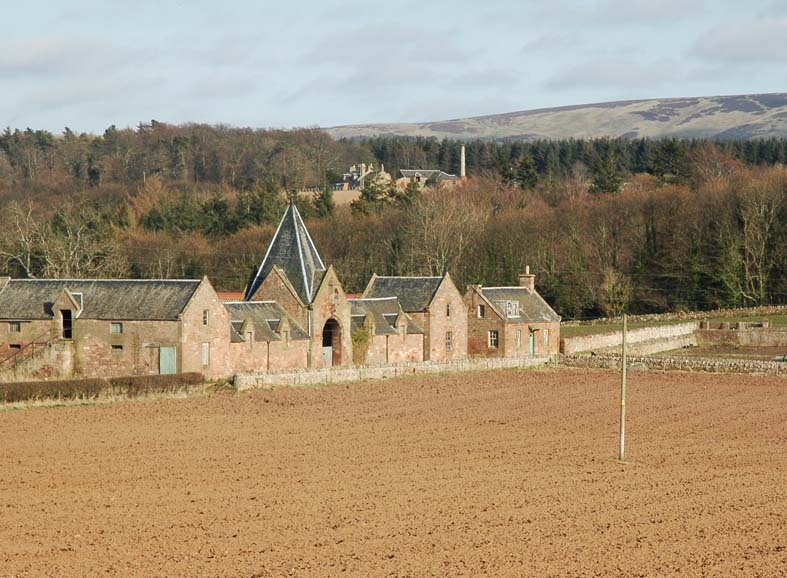 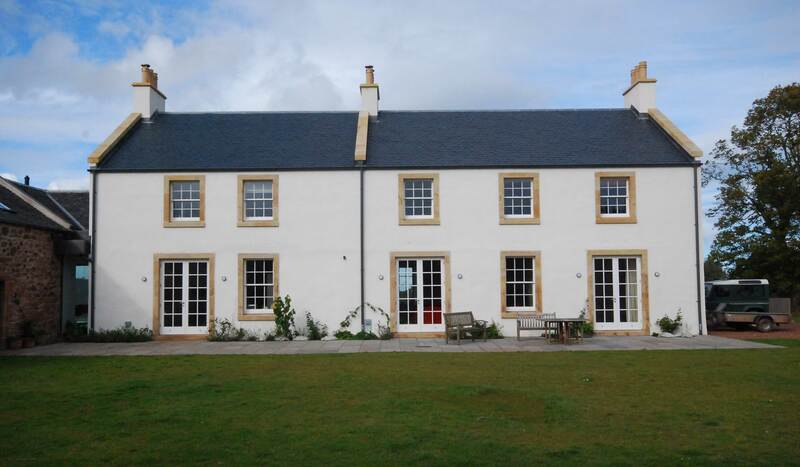 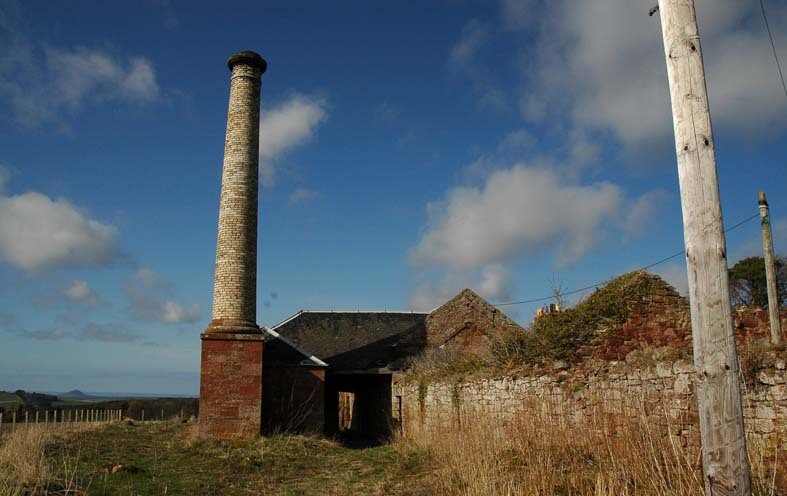 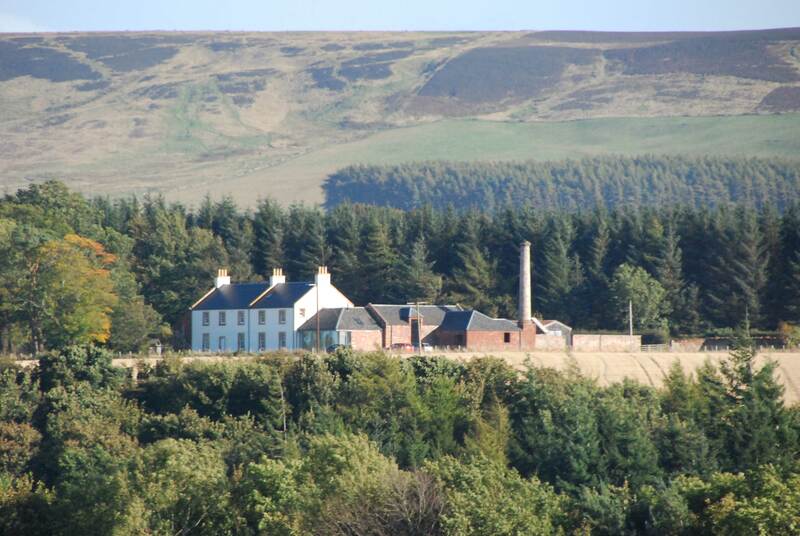 The location is rural with stunning views of Traprain Law, Berwick Law and the Bass Rock to the North. 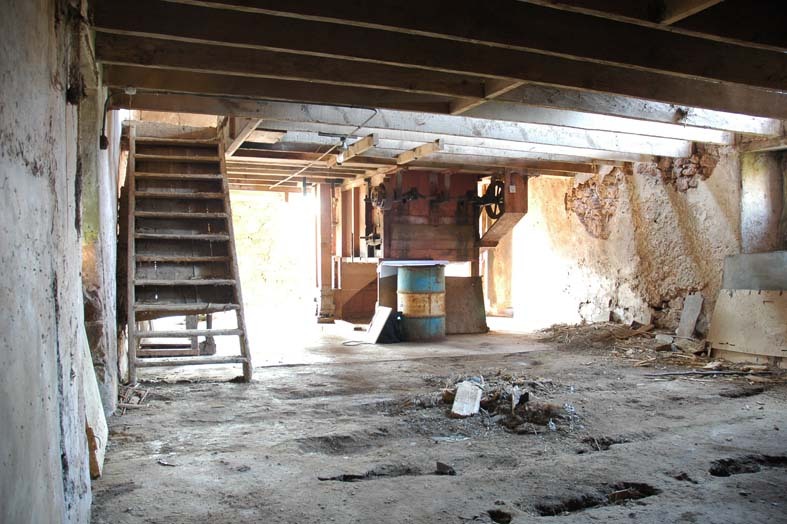 In common with many similar Steadings the stone barns had been unused since the 1960’s. 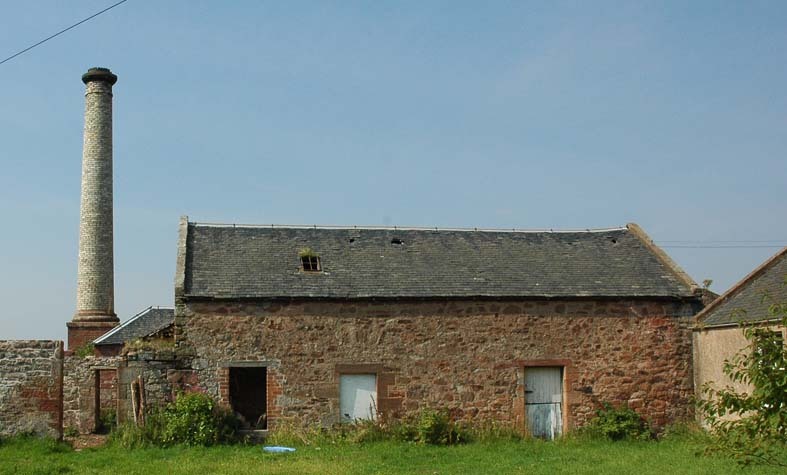 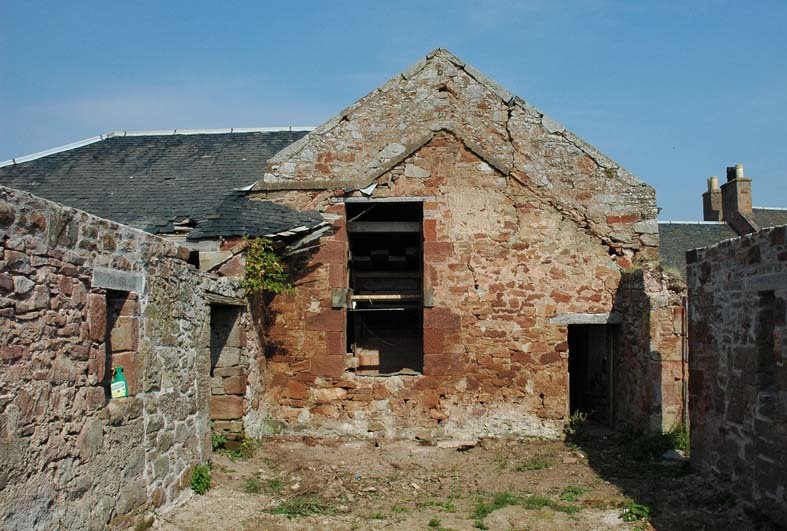 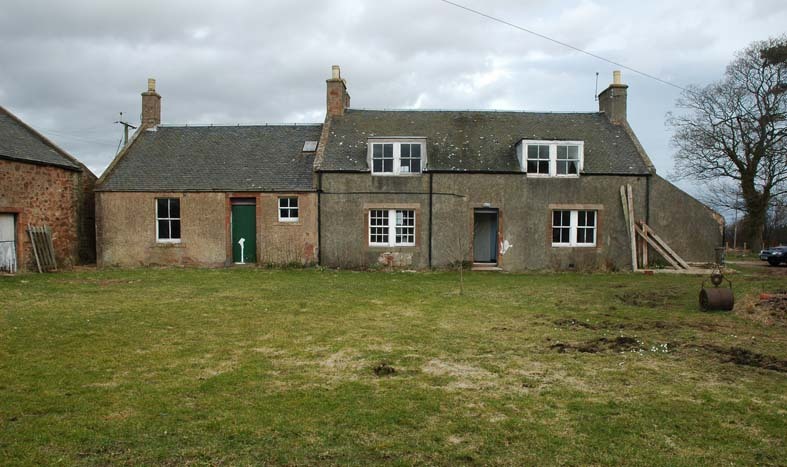 The Steading is formed around a courtyard with a south facing stone wall, East and West Barns and a row of cottages to the north. 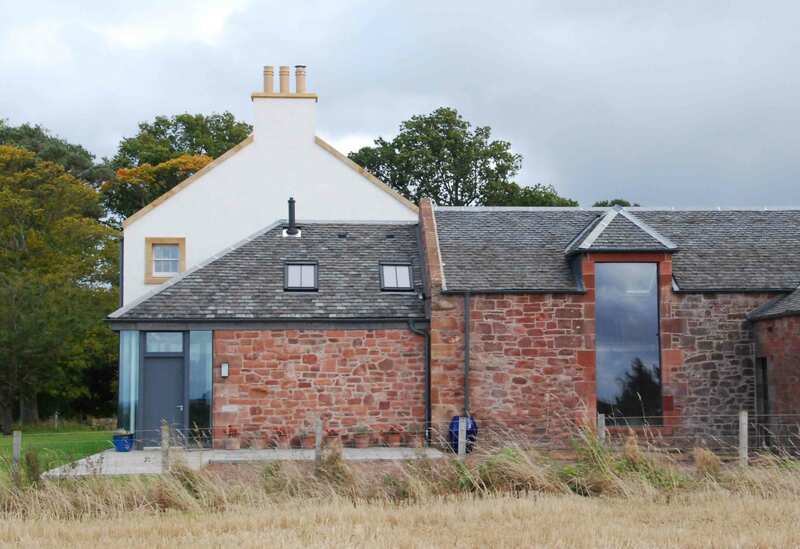 The two cottages have been combined and increased in height to form a single family home of Georgian proportions. 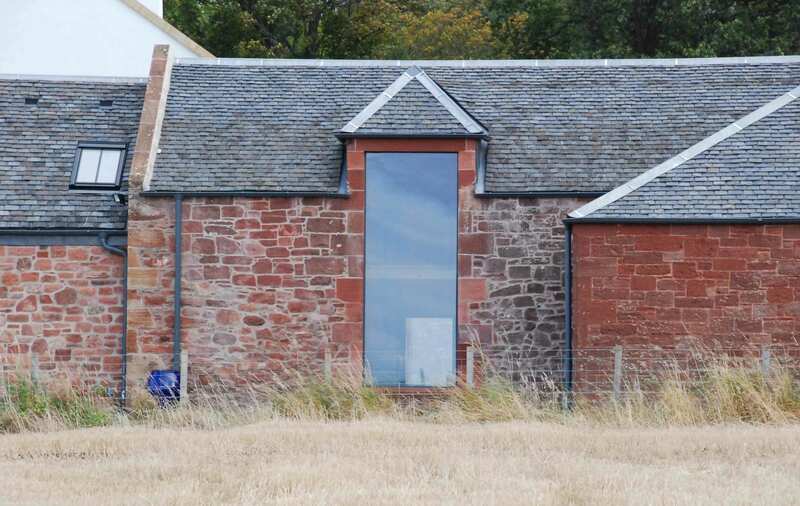 A contemporary single storey Main Entrance Link connects with the West Barn, where extensive conservation work has been carried out. 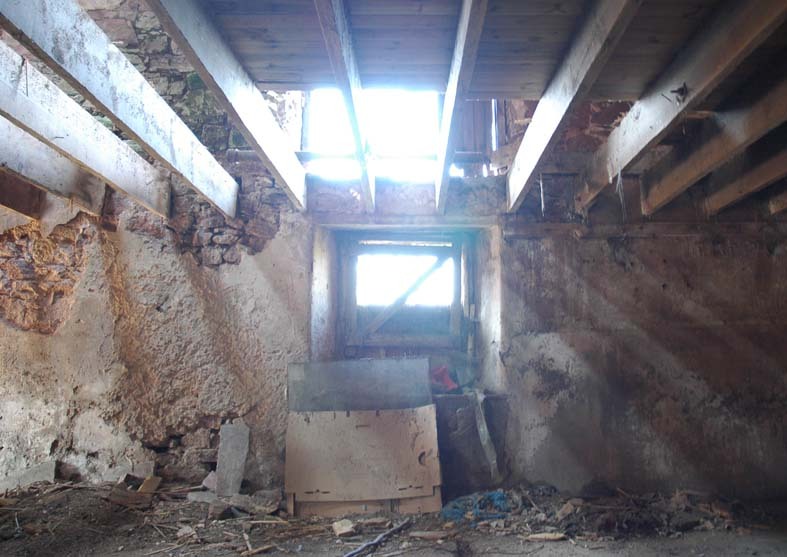 Here, modern materials and details have been used for the interior and all new openings. 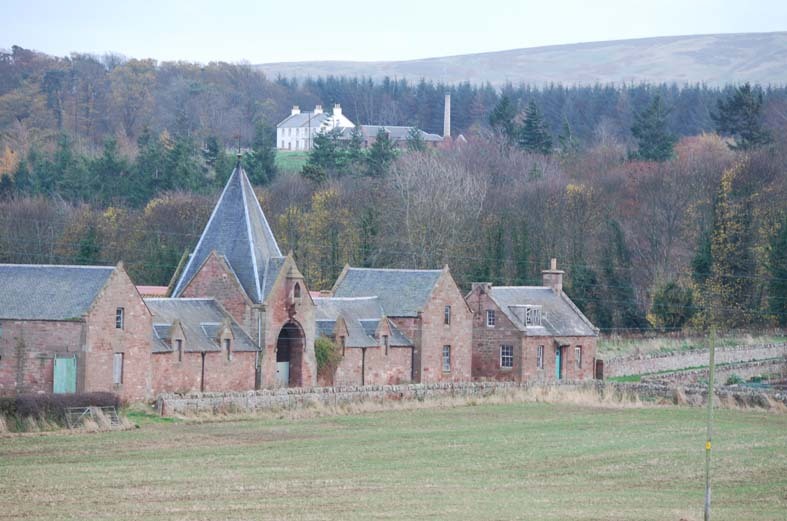 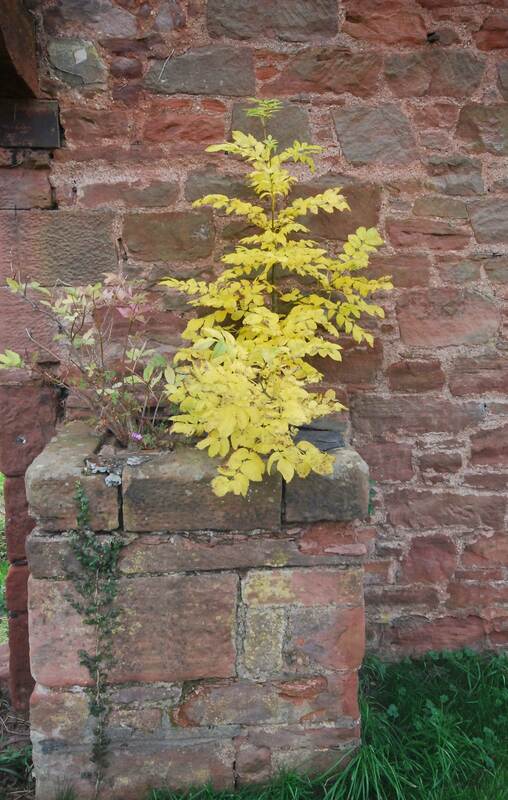 Location: Overfield, Whittingehame, East Lothian.